Last Thursday, I attended the Decoded Fashion Meetup: Hot Tech Connecting Shoppers Offline & Online event. This was a great event with a huge turnout, and I was excited to meet individuals with all types of backgrounds, from a developer interested in cosmetic startups to a VC at Greycroft Partners. Styloola – provides a mobile solution to help shoppers navigate the streets in search of the perfect item nearby. Its founder will be revealing a hardware-based solution launching in Q4. 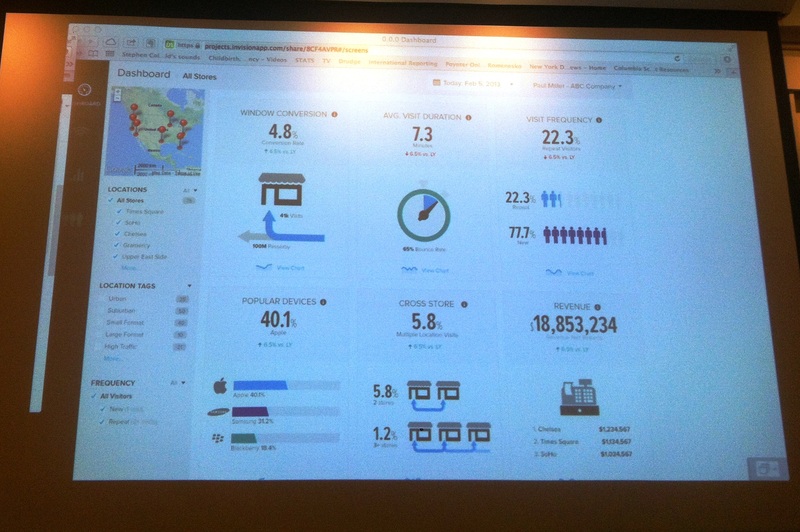 Shopkick – is an app that lets users search for products and find discounts at retail locations. Shopkick allows its users to redeem “kicks” or points for walking into a store and then use those kicks to redeem different rewards. You can get restaurant vouchers, iTunes gift cards, Best Buy, Target, Macy’s, Sports Authority or American Eagle gift cards, movie tickets, or even a cruise around the world. You can also donate them to your favorite cause. The startup also launched in-app purchases, starting with 30 major stores, including Target, Macy’s, Best Buy, Old Navy and Anthropologie. 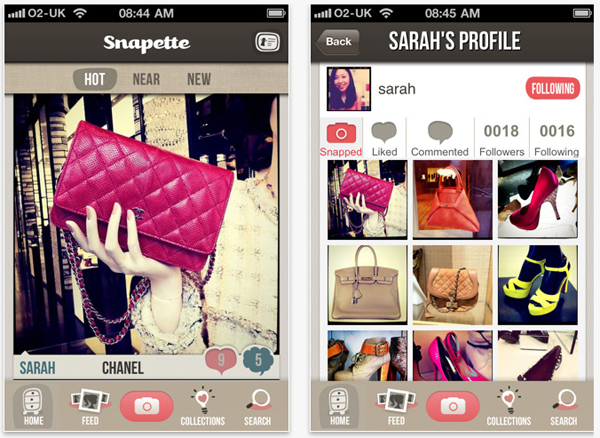 Snapette – a mobile shopping tool to help shoppers find designer fashion currently in stores near them. Snapette has previously worked with Jimmy Choo to send push notifications to its users about a nearby sample sale. The company announced this month the acquisition by PriceGrabber. Omni-channel retailing allows the user to utilize all shopping channels, including physical, online and mobile channels, simultaneously to shop anything, anywhere and anytime. The omni-channel approach evolved as a solution to showrooming, which involves consumers browsing products in a physical store and comparing product prices, inventory availability and reviews online via a mobile device/tablet/computer. Showrooming resulted in product purchases outside of the physical stores and from another retailer or online retailer with a lower price. Omni-channel aims to create consistency in selling across all channels and increase the interaction between stores and consumers. Ideally, omni-channel will allow the retailer to communicate with the consumer at every point in the shopping experience, from the time of product research to the point of transaction and even after the transaction. For example, a customer would view the company’s lookbook online at home and receive a notification on their phone about the latest promotion offer and will walk into the store to redeem the offer at the time of purchase. This approach centralizes the customer as depicted in the below diagram. The challenge with omni-channel retailing is the ability to integrate and analyze data collected at different points of interaction with the customer and use this data to communicate information and provide services relevant to the customer’s preferences. Additionally, new metrics focused on measuring customer behavior (i.e. visit duration, store zone popularity and bounce rate) will have to be adopted as the traditional Four-Wall Analysis cannot be used to understand individual consumer behaviors, and therefore will not be useful in helping retailers create a personalized shopping experience for their customers. Adoption of the omni-channel approach will also require retailers to achieve the convergence of the physical and digital worlds through consistency in pricing, policies and fees, promotional offers, inventory availability and customer experience. Channel-specific coupons and inconsistencies in product descriptions will encourage customers to prioritize where they will purchase goods, resulting in showrooming. Today, we are seeing many online-originated businesses open up their own brick-and-mortar stores. The most popular example has been Warby Parker. Warby Parker is an online eyewear retailer that allows its customers to sign up and shop online for stylish frames, receive free home try-on kits and purchase the frames on the website. This past year, the company has opened showrooms and stores in various cities across the United States. 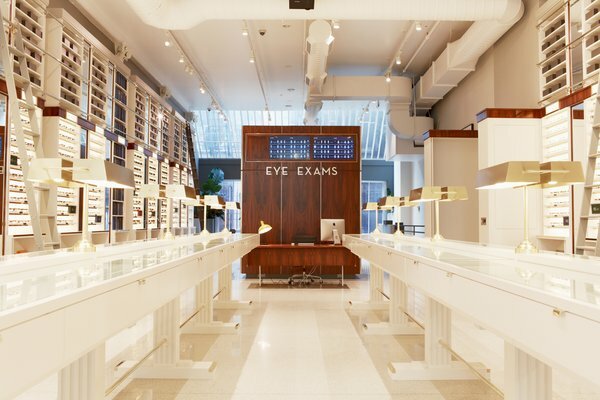 The same frames are also offered in the Warby Parker stores, where Warby Parker representatives are on-site with iPads to help process your purchase instantly. Its stores are also distribution centers. The consistency in experience, pricing, branding and offerings has allowed Warby Parker to successfully execute its online to offline strategy. Share with me your thoughts on omni-channel retailing/online-to-offline strategies @tiffanydstone or comment below! Oh the Places Food Trucks Will Go!